Scarecrow is really good at scaring the pants off people and his favorite method is through his fingertip syringes! He's kind of sadistically ingenious that way. If you played the Arkham Knight video game you know that Scarecrow is causing all kinds of big trouble for Batman, and once you get close to Scarecrow you can expect a big dose of nightmare toxin right from his fingertip. 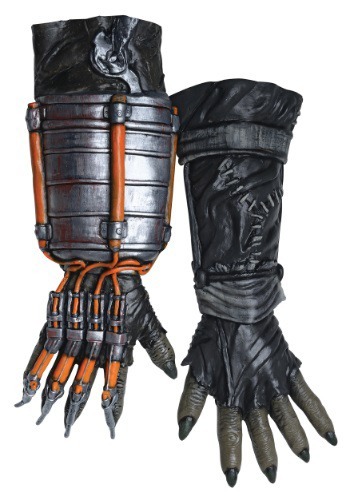 If you're going as the Batman villain this Halloween then you'll need these adult Scarecrow Arkham Knight Deluxe Gloves, so you too can scare the pants off everyone and look pretty amazing while doing it.